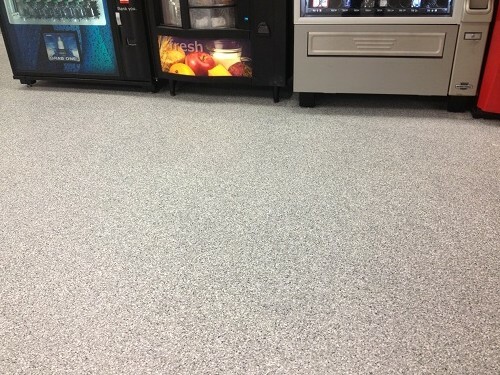 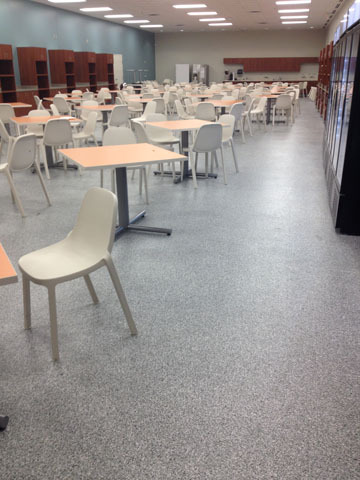 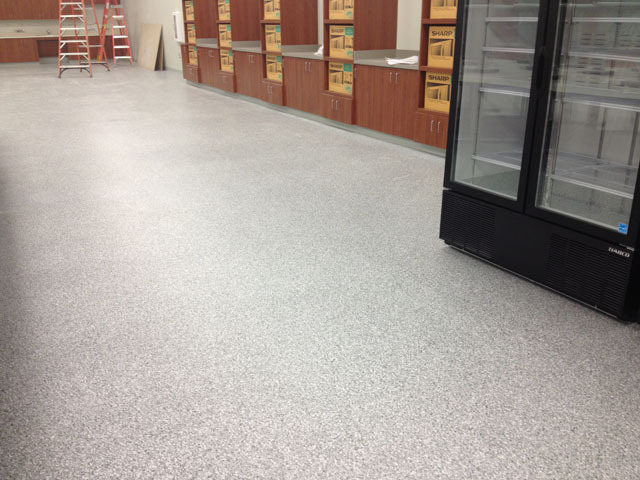 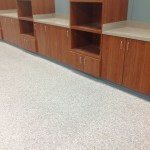 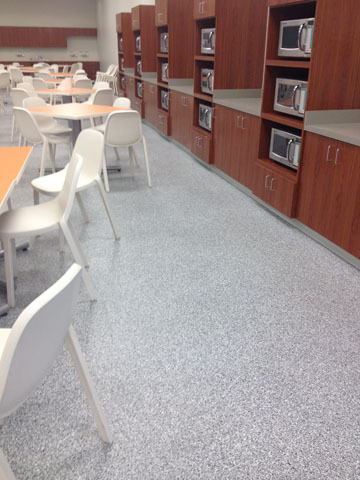 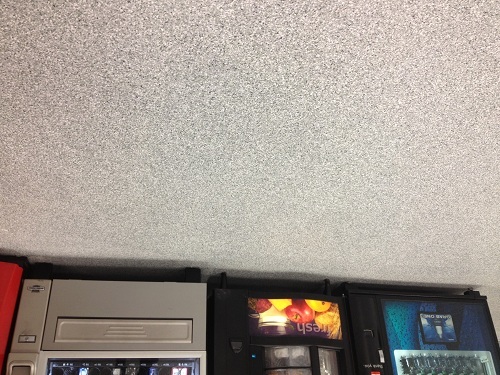 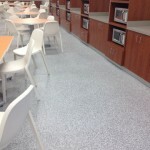 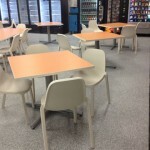 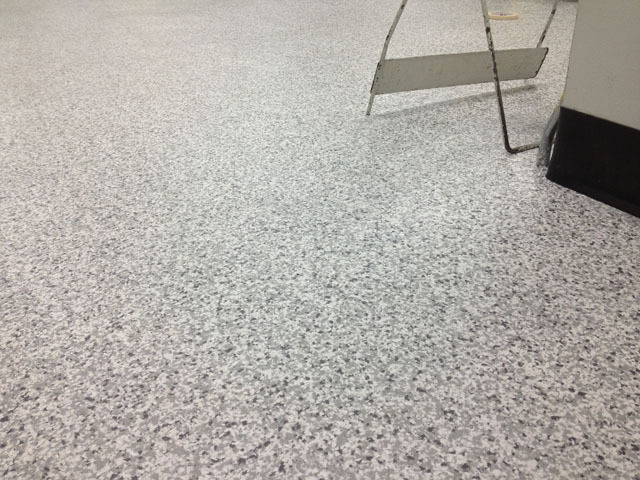 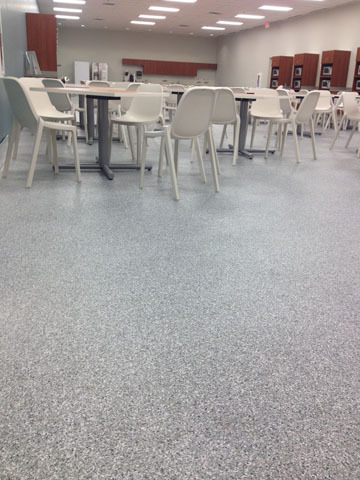 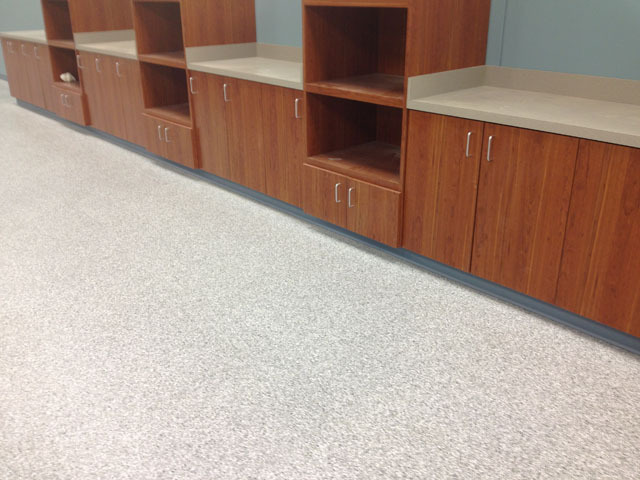 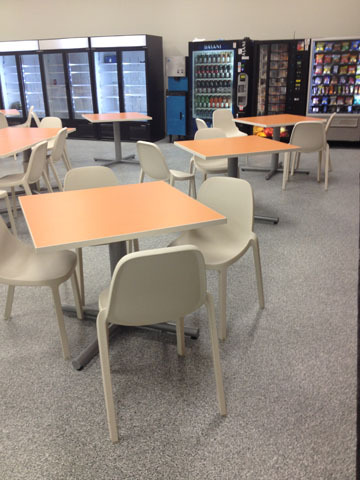 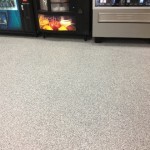 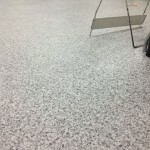 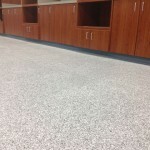 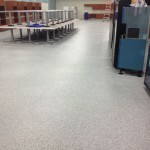 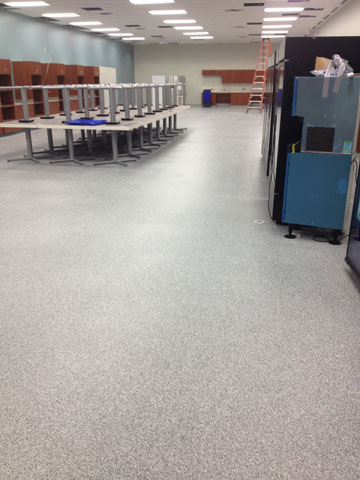 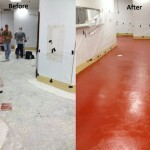 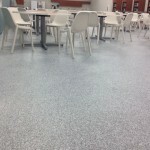 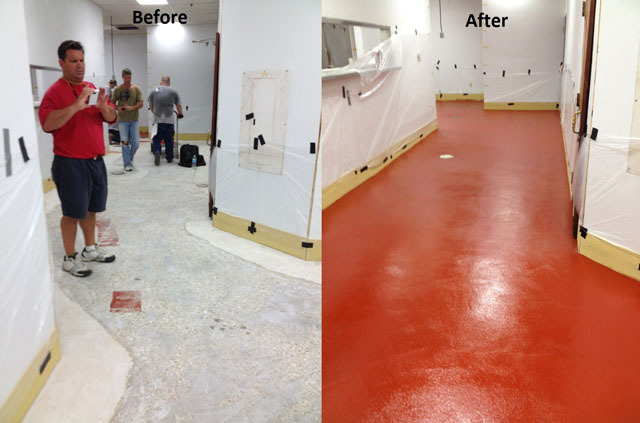 Spectrum Industrial Flooring has pioneered the use of urethanes in restaurant and cafeteria floor applications. 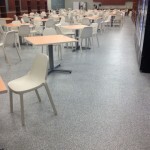 These industrial flooring systems for restaurants and cafeterias provide long term durability ease of cleaning good slip resistance and attractive finishes. 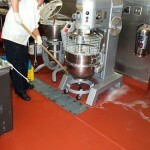 Constant floor repairs become a thing of the past. 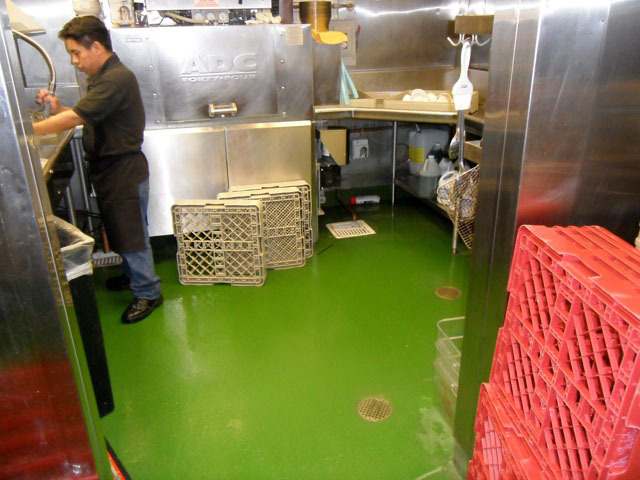 Clients such as Hard Rock Café, LSG Sky Chefs, and Disney World have come to realize the benefits of a properly designed and installed floor. 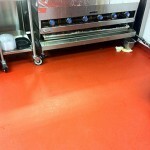 Urethane flooring is an excellent choice for back of house. 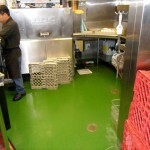 Being non-porous, bacteria becomes a non issue. 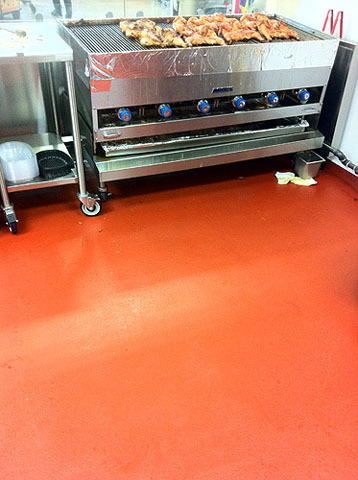 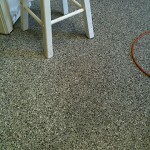 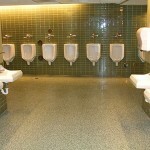 We can also match the abrasiveness of the flooring system to match your needs for ease of cleaning and slip resistance. 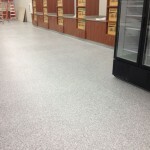 Freezers and coolers also benefit from urethane concrete as it is highly resistive to the thermal cycles that can cause other systems to fail over time. 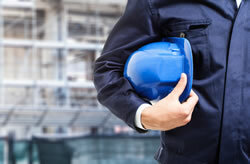 Front of house is often a good candidate for MMA systems. 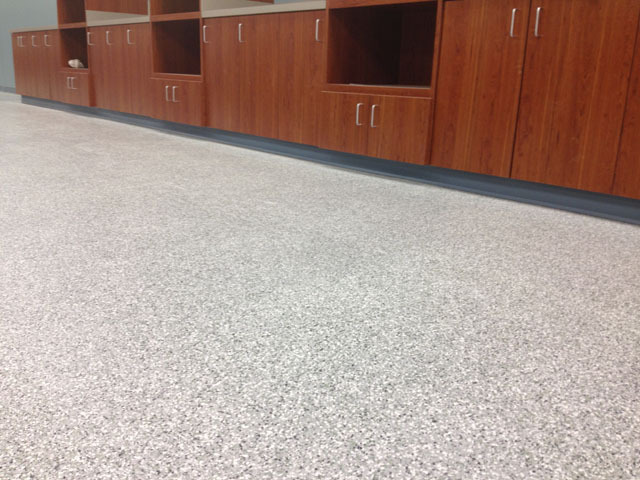 With almost unlimited choices for styles and colors, we can match any coloring scheme to create a decorative finish that costumers will love. 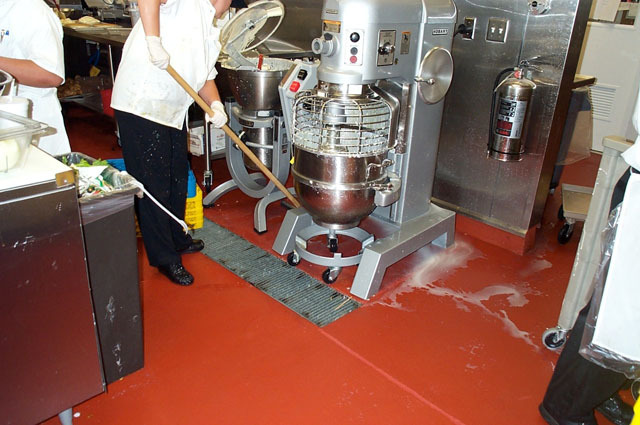 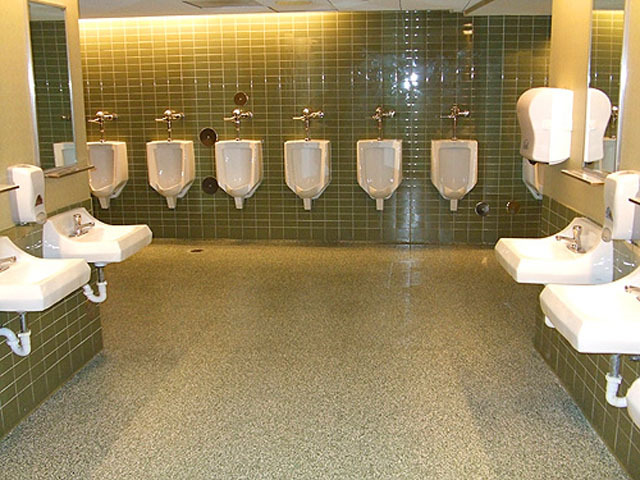 Like the Urethane concrete, its also highly durable and easy to clean, with the ability to pick the abrasiveness to limit slip and falls.